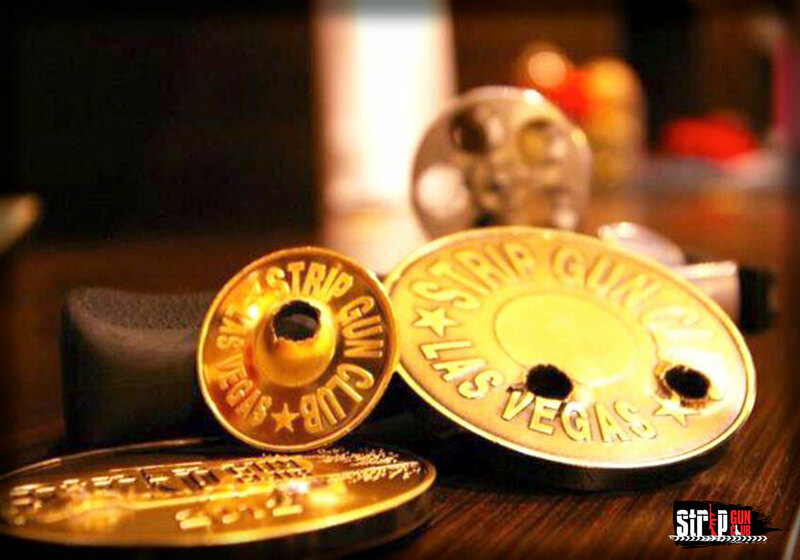 Strip Gun Club is more than the first and only shooting range on the world-famous Las Vegas Strip. It’s the ultimate game changer. You’ll forget all about the slots and tables the moment you pull the rifle handles on our double doors. Here, you’re 007 undercover, a strike force operative, or head of the ranger battalion. We’ve packed limitless adventure into 4,500 square feet of raw industrial style with a sophisticated edge. This gritty playground was built for your most pulse-pounding missions. Are you ready? 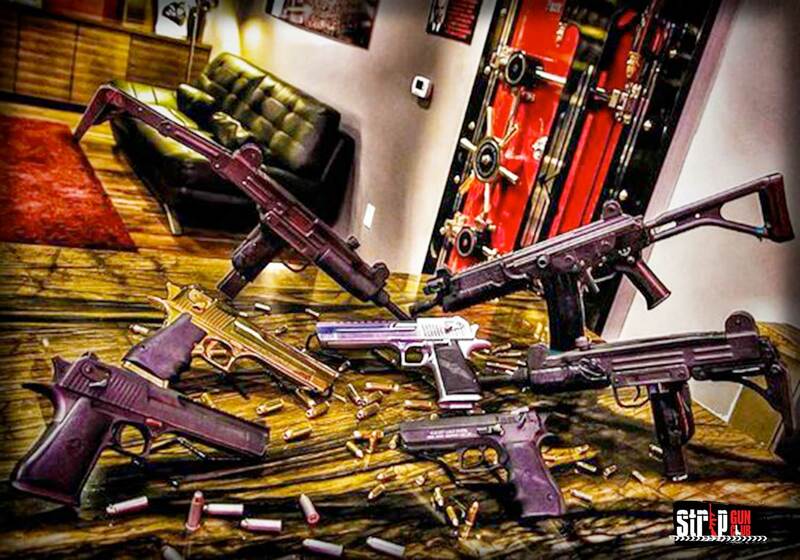 Strip Gun Club is home to two private VIP pistol lanes and five rifle lanes. 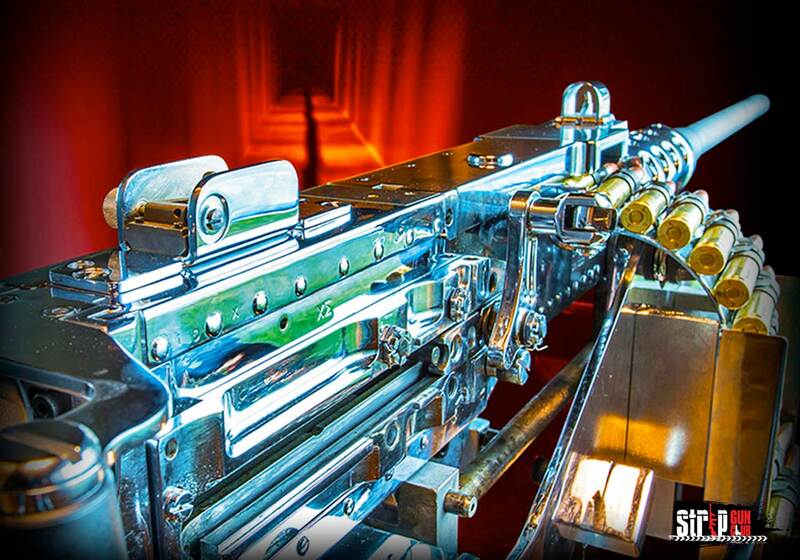 You’ll even find a lane with a built-in mounting turret for our .50 caliber chrome plated machine gun, described by journalist Dan Rather as “the mother of all machine guns.” Do the math. That’s seven cutting edge shooting lanes so you can get the lead out without the wait. While you’re here, be sure to check out the “Dillinger Door,” a bank vault door defeated by infamous gangster John Dillinger. No wonder this gunslinger was public enemy number one. 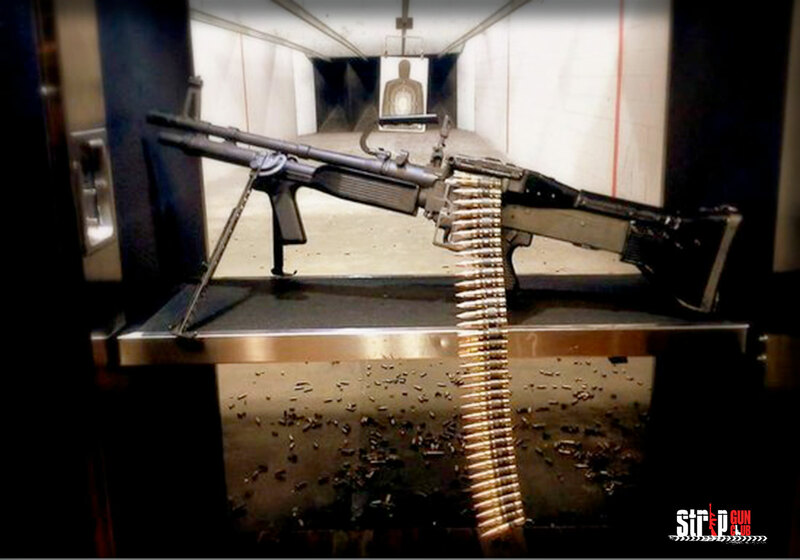 Group shooting experiences are customized to provide an unforgettably unique experience. Whether you’re celebrating a birthday, going wild with a bachelor or bachelorette party or team building at a corporate event, you’ll always remember your powerful Strip Gun Club experience. Shooting Packages begin at $99 and hold nothing back. 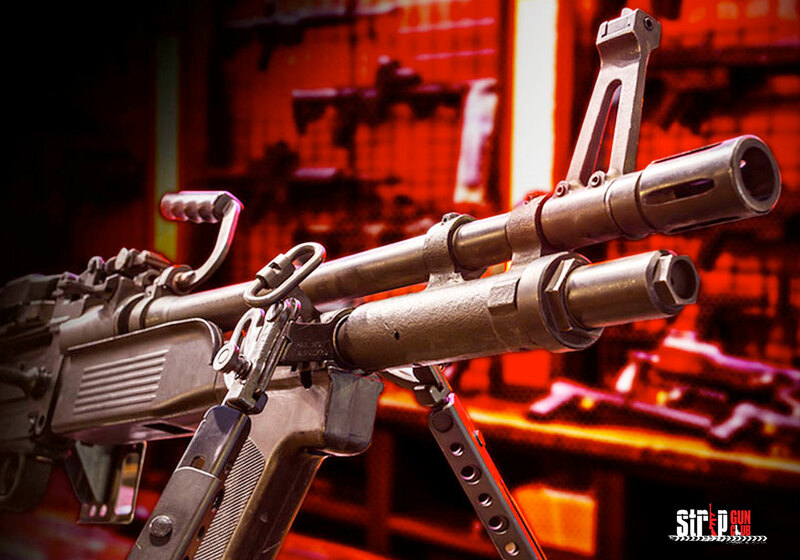 Take on your choice of hard-to-find machine guns, handguns, shotguns, or sniper rifles. Read our testimonials below and see what our visitors are saying! 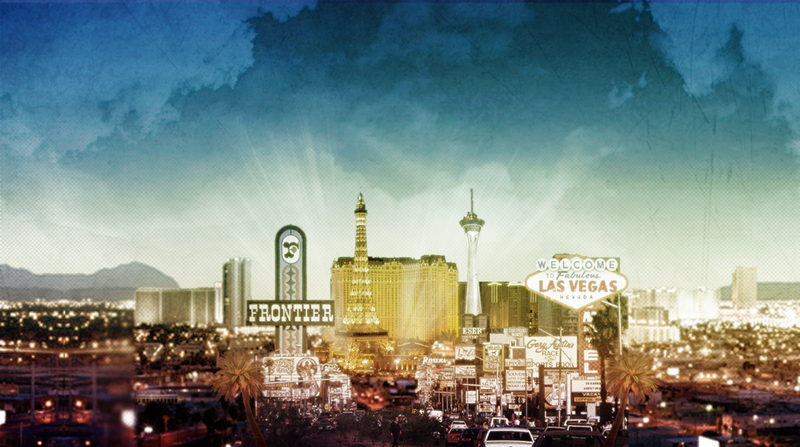 Book reservation now or call 702-777-GUNS (4867). 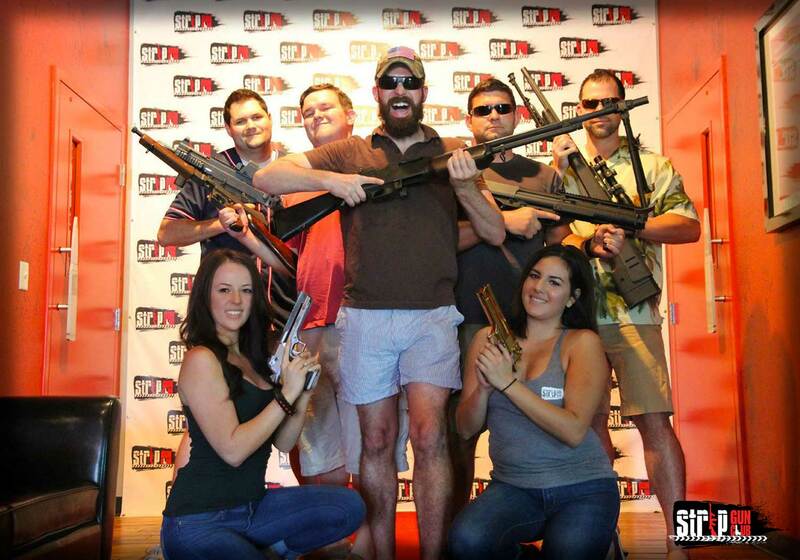 We offer informative and educational firearm classes that cover ALL skill levels. Whether you’re a first-timer who wants to learn gun safety or an experienced pro who’d like to blow a hole through the middle of a coin, our NRA certified staff can get you there. Come on down! 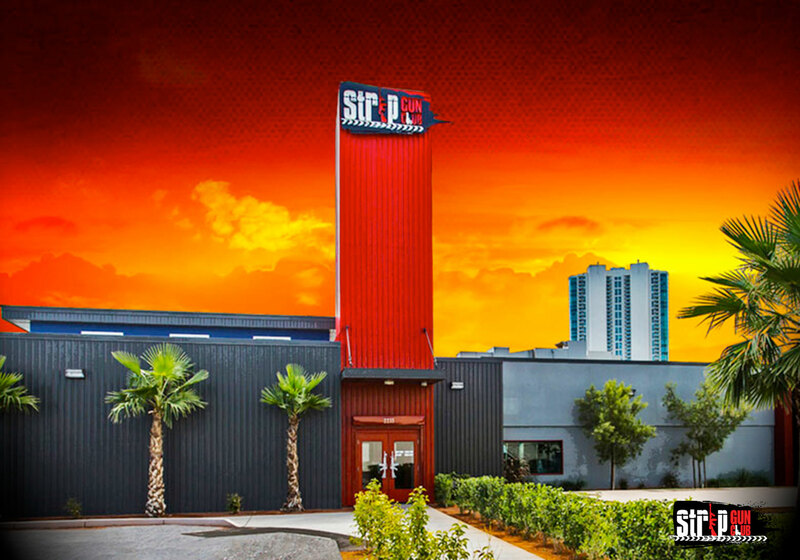 International Visitors: Strip Gun Club is the ideal place for international travelers and first-time shooters to experience the thrill of shooting a huge selection of firearms including handguns, shotguns, rifles and full-auto machine guns. Our awesome shooting packages provide our International guests a fun and memorable shooting experience and a one-on-one tutorial with a Professional Range Safety Officer. Valid identification such as a Passport is required prior to shooting. Minors must be accompanied with an adult. All packages are priced per shooter and + tax. We offer safe & secure online transactions. We proudly accept these forms of payment.